“Medieval times” often conjures images of knights on Crusades, castles surrounded by moats, or perhaps the dragons from Game of Thrones. But such images only scratch the surface of what medieval studies entails. 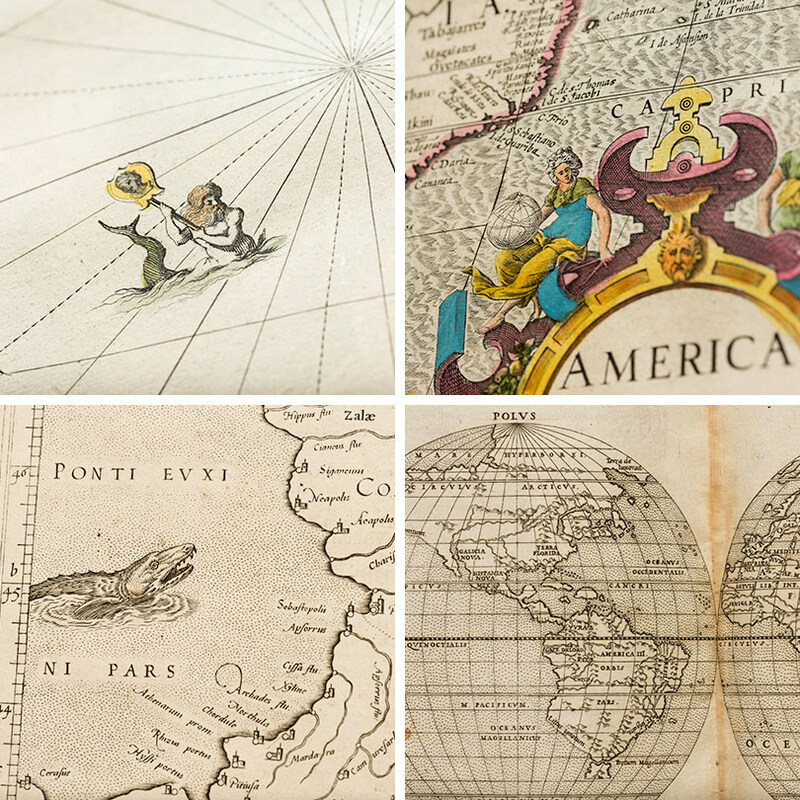 The Early Worlds Initiative—an interdisciplinary research project at the University of Rochester—aims to help faculty, researchers, students, and even the general public delve deeper into this complex and intriguing field. Along the way, participants intend to answer one of the biggest questions among some of those outside the field: Why, in the 21st century, should we care about what happened so many centuries ago? The scope of the Early Worlds Initiative actually stretches beyond medieval times in Europe. It encompasses social and cultural developments from the 5th to 18th centuries, which includes the early modern period as well. And as Hahn notes, it extends globally while recognizing the limitations and biases of research conducted in the United States or Europe. The initiative will bring together faculty members in several disciplines, who might otherwise work in isolation. In will include scholars in the humanities and social sciences with expertise in, among other areas, transnational networks and connections, textual science and analysis, and music, theater, and performativity. It will also include scholars in data science, optics, and imaging. Connecting faculty members from across disciplines and units (including the Memorial Art Gallery and Eastman School of Music) will help spur new and distinctive insights into this pivotal era in human history. The project originated last fall with Joan Rubin, the director of the University’s Humanities Center. 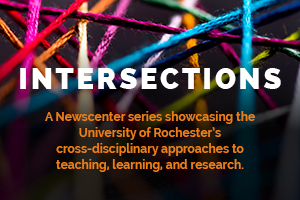 “Rochester’s longstanding strength in the study of medieval and early modern cultures seemed to me to be the best foundation on which to build an innovative set of scholarly projects that would enhance the University’s reputation and create new knowledge in new forms,” she says. Gregory Heyworth, an associate professor of English and the director of the Lazarus Project, which works to recover and preserve cultural heritage objects. Laura Smoller, a professor of history whose research focuses on the intersections between magic, science, and religion in medieval and Renaissance Europe. Michael Alan Anderson, an associate professor of musicology at the Eastman School of Music, who studies European sacred music from the 14th through 16th centuries. Siebach-Larsen, who earned her PhD in medieval studies from the University of Notre Dame, is also a relatively new arrival, having joined the University in August 2017. She seeks to make the Robbins library a collaborative space where research can flourish. How? By building research and rare materials collections, fostering community, developing events and programs, and curating exhibitions that are not only cross-disciplinary, but also cross-geographical—in keeping with the initiative’s focus on a global perspective. “This will help people to recognize that this era of human history is not just isolated to one particular geographical area,” she says. Professor of History Thomas Devaney shares Siebach-Larsen’s excitement about the project’s potential to cultivate scholarship that extends beyond medieval times in Western Europe. Devaney is primarily a historian of Spain, but his expertise spans the Mediterranean world. He believes the Early Worlds Initiative will “create a lot of energy and enthusiasm,” bringing further recognition to the University’s scholarship and resources in medieval and early modern studies. Like Devaney and Siebach-Larsen, Hahn is optimistic about the project’s relevance and reach. 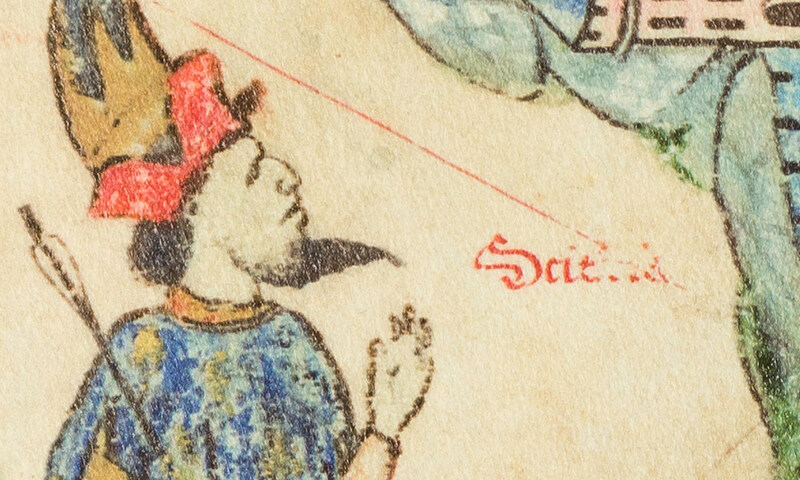 He’s currently organizing a conference about race in the Middle Ages, tentatively set for spring 2019 at the University. “I think all of us in early fields hope to share our expertise, so that people in the 21st century will pay attention to, and learn more about, what happened six or eight hundred years ago,” says Hahn. “I know it sounds cliché,” says Seibach-Larsen, “but a project like this really does open our eyes to entirely different worlds.” She promises that the Early Worlds Initiative is not just for academics and scholars. Students and the general public can also find value in the project’s output, collaborations, and resources while contributing their own perspectives and insights. And yes, look for knights, castles, dragons, and other symbols of medieval times, too.